G3 America Martial Arts kids program is a Black Belt Martial Arts Program focusing mostly on two important aspects of childhood: character development and self defense. Our curriculum is based on World TaeKwonDo Federation (WTF) TaeKwonDo Olympic Training and Brazilian Jiu Jitsu self-defense techniques. 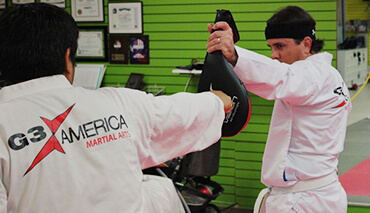 Our adult martial arts Black Belt program offers a comprehensive self-defense and TaeKwonDo Olympic training curriculum focusing on developing stand up and ground based self-defense techniques, based on Brazilian Jiu Jitsu, and to improve strength, conditioning, balance and coordination. G3 America Martial Arts offer a comprehensive, educational and character development after school program. Our intentions are to maximize your child’s after school hours with productive activities assisting on his/her character development, always aiming to make the best of it! G3 America offers an Olympic TaeKwonDo Program where students learn and practice the fundamentals of the most used, up-to-date, techniques on competitions and will also experience strength and conditioning training to improve balance, coordination, power and speed. My child was very shy, and did not play with other children. He joined G3 America 6 months ago, and has blossomed in to a very energetic, confident little boy. I am very happy that I discovered G3 it has truly changed my child’s life. Coach Lucas is one of the best instructors I have ever met. I would like to say thank you to G3 America for making such a huge impact in my families life. Love this place… my son has shown great improvements since he began going to G3 America 2 years ago. His personality, confidence and social kills are just a few things my son is excelling in, all because of the patience and care Instructor Lucas showed…Our gratitude goes out to Instructor Lucas and his team because they do such great work with the kids you could see the difference/changes in all the kids. My children have grown so much, not just in martial arts, but in character. After 2 previous after-school programs and searching for multiple options I am thankful that I found G3 where I know my children are having a great time, receiving great care and are learning from people they can model after every day. I have recommended and continue to highly recommend G3’s after-school program, summer program and martial arts program. Welcome to G3 America Martial Arts! 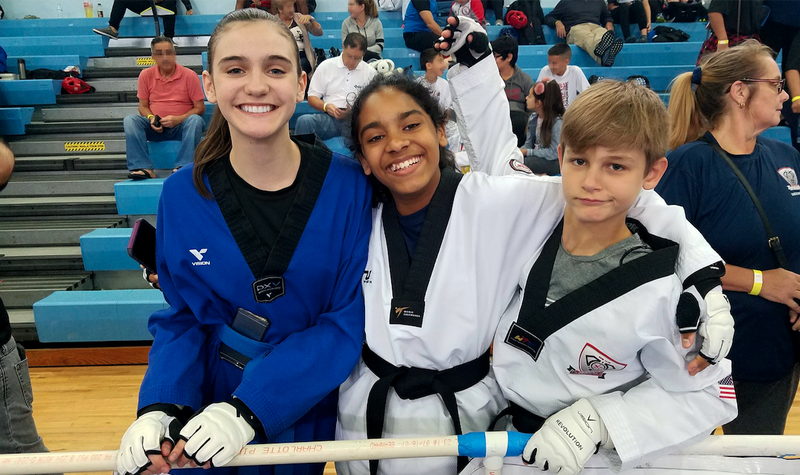 We are a full time TaeKwonDo Olympic Black Belt Martial Arts School offering a Martial Arts and fitness curriculum that assists students in the process of developing their athletic skills, life skills, character, and self-defense abilities. We are conviniently located in Margate, serving the cities of Margate, Coral Springs, Deerfield Beach, Tamarac, and Coconut Creek. We offer martial arts for kids, teens and adults. Our programs are divided according to levels and belts to ensure skills are being learned adequately and progressively. 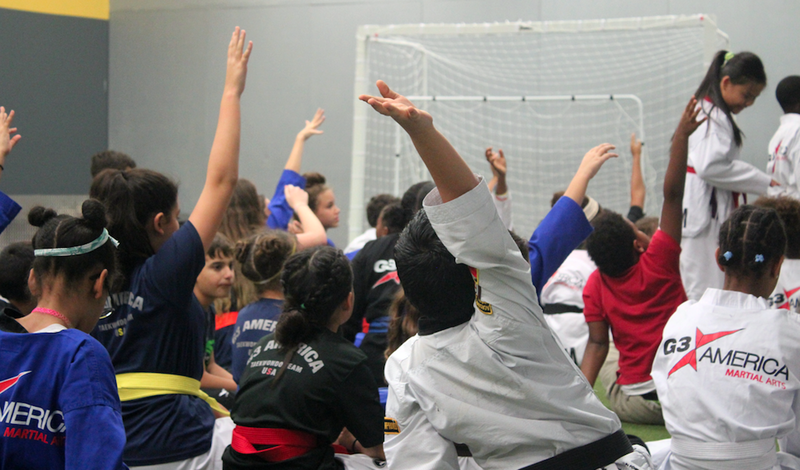 Students will learn, among other things, stand up and ground self-defense techniques, and they will improve balance, coordination, strength, conditioning, and above all else character excellence! 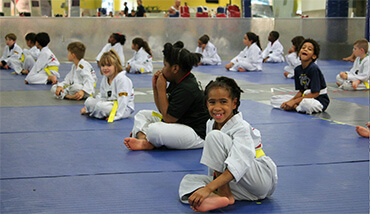 Students will also have the opportunity to become a world level athlete through our Olympic Taekwondo Training Program. As part of our core believes, G3 America believes that every child was born to be great and we support and motivate them with words of encouragement and biblical leadership guidance, based on our 40 Principles of Leadership. We are always involved in serving and assisting the community, providing opportunities for students to get involved in social projects, building a better and safer environment for everyone. Serving others is a very important and needed lesson in order to be successful, and to become a Black Belt in excellence! For additional information or to inquire about our programs click on Martial Arts School Margate.